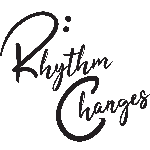 What is Rhythm Changes? Rhythm changes empower communities through music. We take the time to understand political, economic, and cultural issues at the heart of social problems, and work to help those in need of change at their level. Music transcends the language barrier, opening doors for relationships to begin. People from completely different worlds form connections, and through those connections change happens. Whether we are teaching Emergency medicine training programs to adults, or basic mathematics to children, our goal is the same. We help people realize their own potential and elevate the standards set by the world today. Our current focus is in Cap Haitian, Haiti. Cap Haitian is the second largest city on the island of Haiti, with about 190,000 residents. Formed in 1711, Cap Haitian was the city’s capital until 1770 (Port Au Prince is the current capital). 70% of Haiti is unemployed, most people do not eat every day, and do not have access to clean water. Rhythm Changes got its start off the corner of St. Philomene Street, Cap Haitian, in November 2016. After a massive storm system canceled schools in Haiti, a group of American music teachers – Glen Willet, Joe Zellers, and Brandon Dull – decided to teach what they knew – music – to 40 students. It became a 3-day workshop with students from 10- 60 years of age. This workshop became a beacon of light in a world of darkness. With devastating water rushing through the streets, destroying homes and personal property, music was also flooding the neighborhood, and the students wanted more. Through these lessons, the students escaped the destruction taking place outside and found peace for a few moments. This idea is the fuel for Rhythm Changes music and educational programs. Since the momentum of the first workshop, we have held 5 more, focusing on different areas of study. Rhythm Changes has provided beginner and advanced music workshops by partnering with Jose Michel, and the music school he runs in Cap Haitian, Haiti. Rhythm Changes has also started a basic emergency medical training program with local hospitals in Cap Haitian Haiti. We are sponsoring qualified students to attend college and hiring teachers in Haiti. We have also started to teach Emergency Medical Training, are working with young entrepreneurs within the surrounding community to help develop a local economy, and strive to end hunger by providing food and clean water to students and faculty. Rhythm Changes is about real change for tomorrow. Change isn’t clean and easy, it’s frustrating and tedious. It doesn’t happen overnight, and one donation isn’t going to change the world, but the payoff is worth a lifetime. You may be asking yourself, “So what can I do?” Service and Donations come in many forms. Everyone has a hidden talent or skill that may benefit another person. From volunteering time to physical gifts, to building a friendship with a person in need. The hardest part is taking the first step. If Rhythm Changes is something you can get behind, please contact us. We are looking for open-minded ambitious people can let the music of today to transform someone’s tomorrow. Brandon Dull, Program Director and President, Maryland Resident. Founder of the original workshops and music programs, Brandon Dull works full time as a teacher at Jim’s House of Music, and a professional musician, also a licensed EMT, he runs travel logistics and processes the applications for those who may qualify for Rhythm Changes Corp. Brandon Dull is responsible for the overall direction, the hiring/firing process, balancing the finances, acquiring grants, filing tax information, and allowing persons to participate in the Rhythm Changes program. Brandon Dull is also responsible for coordinating the local events and handling all fundraising planning. Brandon Dull works an average of 60 hours per week for Rhythm Changes Corp.
Allison McMichael, Secretary, and Treasurer, Maryland resident. Allison has achieved a BSW from Shippensburg University in 2014. Allison is currently achieving a masters in social work at Md University. Allison currently manages a local Westminster Planet Fitness Gym. Allison logs all data entry of Rhythm Changes board meetings. Allison records all conversations between Rhythm changes and outside contractors. Allison also handles fundraising coordination and public relations involving local governments organizations and Rhythm Changes. Allison also handles the finances involved in Rhythm Changes. Allison works 40 hours per week for Rhythm Changes Corp.
Matt Millstein, operations director, and marketing director operates the Nashville sector of Rhythm Changes Corp. Matt is currently acquiring a 4yr. Degree at Belmont University Nashville Tennessee in business/Marketing. He directs all advertisement, social media presence, and web management for Rhythm Changes Corp. Matt is also a Professional Drummer, Music instructor, and instrument maker.